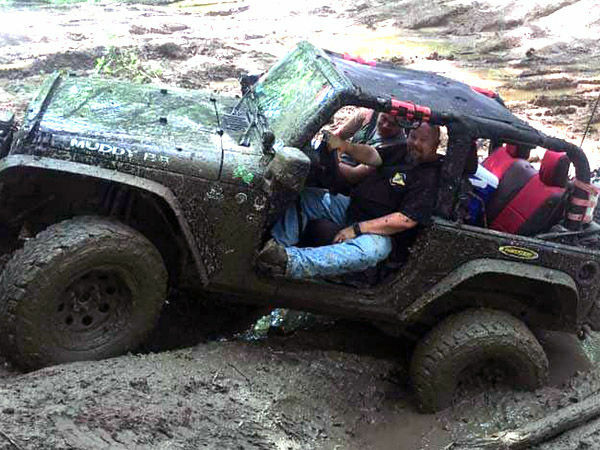 Muddy Buddy's Jeep Wrangler Club (MBJWC) are based out of Dayton, Ohio with a chapter in Colorado. Most of our off road events are held in Ohio, Indiana, Kentucky, West Virginia and Tennessee. 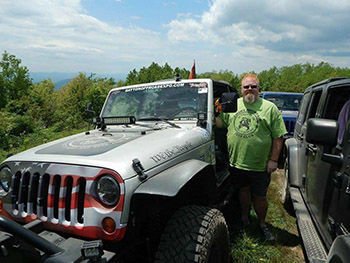 The Muddy Buddy’s Jeep Wrangler Club was founded in 2002 by two Kroger Supermarket meat cutters, Rob Eldridge and Rob Forsha, who became friends and enjoyed wheelin' and the outdoors. Forsha owned a TJ and at the time Eldridge had a Bronco II. On the surface, Jeep clubs are a sort of united front for off-roading, where members push their Jeeps to the limit on trails, rocks and everywhere between. However, both Robs will tell you the Muddy Buddys club brings a lot more to the table for its members. When they first started, they knew that they wanted to create a club with a core focus of family friendliness, safety and fun. "We looked at other clubs and many of them were about limiting things," says Forsha. "You had to have a Jeep this size, or be this customized. Many of the clubs mandated that you attend so many events. This is about having fun. It shouldn't feel like a job." Eldridge adds that they look for all types of owners. "If you've got a stock Jeep, we still want you" says Eldridge, who has been president of the club since it began. "We all started there." The message certainly resonated with other Wrangler owners, as the club has grown from three to over 500 active members. The idea of starting a club came about more than a decade ago, when both Robs were working together at the Sugarcreek Kroger store. During a particularly bad snow storm, the two took out their four-wheel drive vehicles to pick up other Kroger associates and get them to work safely. It was around this time that their friendship began and their mutual interest for off-roading inspired them to start a club. "Honestly, from that point on we were literally like brothers," says Eldridge, "We're just great friends that were fortunate enough to meet working for Kroger." Eldridge wasn't always a fan of the Jeep Wrangler, and when the two first met he was driving a Bronco. They'd go out to lunch together and he'd notice that Forsha seemed to know every Jeep owner in town. "He'd drive by, and they'd wave at each other!" says Eldridge. He didn't realize, at the time, that he was witnessing the "Jeep wave" - a part of Jeep culture where owners wave to signify a sort of respect and understanding of their common interest. It wasn’t long before Eldridge became a Jeeper himself. “My lifestyle is country,” says Eldrige. “I grew up fishing, hunting, and being in the woods. There's something about having a vehicle where I can look up into the mountains and say, 'wow, that's pretty' or I can go up into the mountains and check it out." He added, "It's like being a biker and loving the freedom, but the bikes have to stop at some point -we don't." Going off-road doesn't come without its own risks, even for Jeep owners. "What you have to understand is, the moment you go off pavement, something can happen," says Eldridge. Dents, scratches, tire punctures, and so forth aren't unheard of, and that's one of the topics the more seasoned Jeep owners share with newcomers to the club. "You'll have a member come in with one of the newer Jeeps that have plastic flairs or tube bumpers on the side, and they'll get ripped off in the first 30 minutes," says Eldridge. "Our senior members will tell them, 'look, this will cost you a little to replace but it's going to save you in repairs down the road." Dents aside, the club takes safety very seriously. In fact, their safety record is nearly impeccable; they've never had a major accident. "There have been a few minor cuts and bee stings, but that's the extent of it," says Eldridge. There's plenty to be proud of here, especially considering the club hosts about 50 events and meetings each year. The club's biggest event is their annual "Jeep Jam" which takes place in Wilmington, OH and brings in about 1,000 Jeeps. For $50, Jeep owners - even nonmembers - can enjoy an obstacle course, trail rides in the woods, parts vendors and food vendors. "It's everything that's part of the lifestyle and brand," says Forsha. Jeep Jam also attracts 30-40 new members each time the club host it. A big part of the fun, both Robs agree, is growing the membership and building new relationships. "There are plenty of things we do outside the club," says Forsha. "Someone might have a lot of us over for a bonfire where we'll hang out and build that camaraderie." Eldridge agrees. "It's even in the name," he says. "Everyone is like family- we're all buddies." Each year, Forsha runs an etiquette meeting for the club where he discusses how members should conduct themselves. "We get so many new members and they don't all know exactly what they're doing," says Forsha. "We talk about everything from egos to how to behave on the trail." The club is also very big on conservation, and all of the members carry garbage bags with them at events to clean up their trash, and anything they might stumble upon along the way. "We also do river cleanups each year," says Forsha. "That's what we're all about-you give our members a place to ride and they'll take care of it." The annual membership fee of $24 helps cover some of the cost of running club events, but it's also used toward some of the club's charity initiatives. Muddy Buddys is a big supporter of both Toys for Tots and Relay for Life. "One of our events in Indiana brought in about 800 toys," says Forsha. "We also do a covered Bridge Run in Preble County for Relay for Life." "We're based around having fun and giving back however we can," says Eldridge. "If you like adventure, being in the woods and thrill, you'd probably be into the Jeep lifestyle." Wil has been an active member since 2014. Wil has also been running trail rides since 2017 and organizing the newbie and Trail Etiquette classes also. Wil also has been on the Jeep Jam committee since 2015 and an active member going to most of the events local and away. Wes have been member since January 2017 and became a member of the Jeep Jam Committee in 2019 to help obtain vendors for the event. 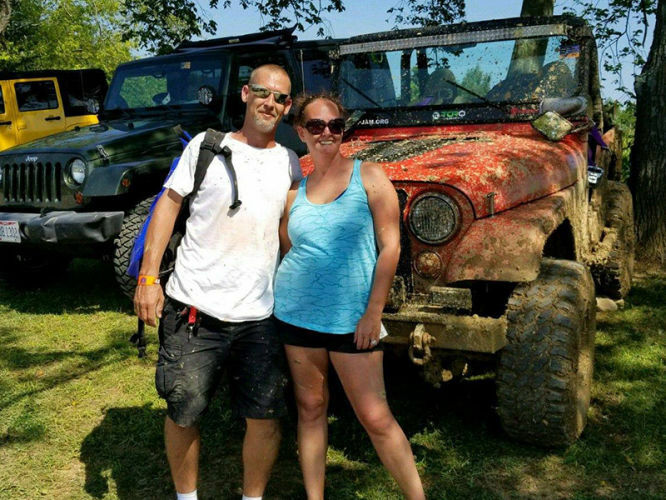 Wes has volunteered for the Dayton Off Road Expo during set up and throughout the event and has volunteered at past Jeep Jam events with the mud pits and a lot of behind the scenes work. Nikki joined the club in 2008 and has helped the club evolve from just a club, into a 501(c)(7) and also incorporated. She is on the Dayton Off Road and Jeep Jam committees. David has been a member since February 2014. David is also on the committee for the Dayton Off Road Expo and is very active in the Blue Skies for the Good Guys and Gals Warrior foundation. He helps organize Muddy Buddys participation in the Team Fastrax Warrior Weekend to Remember. Muddy Buddy's gives back to our local communties by donating money to several different charities. In the last 3 years, we have donated over $44,000! Blue Skies For The Good Guys And Gals Warrior Foundation Mission: Honor our nation’s veterans, Purple Heart Warriors and the families of fallen heroes by providing enriching, life changing experiences that facilitate new friendships and emotional healing. 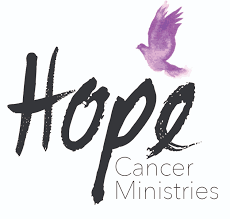 For those whose lives have been ravaged by cancer, Hope Cancer Ministries is a people- not disease-centered outreach that connects community and churches to newly diagnosed families through believers who serve, minister to, witness and share the love of Christ. Hope Cancer Ministries is dependent upon its outreach church partners, their congregations, the generosity of corporate sponsors and individual donors, and the work of our volunteers to bring hope, care and life in Christ to those in great need of love and support. Raising awareness for Breast Cancer, and sending care packages to those effected by cancer. Our goal is to raise funds to give back to local families, so they can have special family time. Our Mission is supporting the fighter, admiring the survivor, and honoring the taken, and never ever give up! 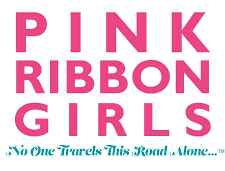 Miracles are Pink was created for our sister Chris Bissey in January 2015. Athough she lost her battle to Cancer on Aug. 28, 2015, she was our hero and true fighter. Please read more of her story at www.Miraclesarepink.com. 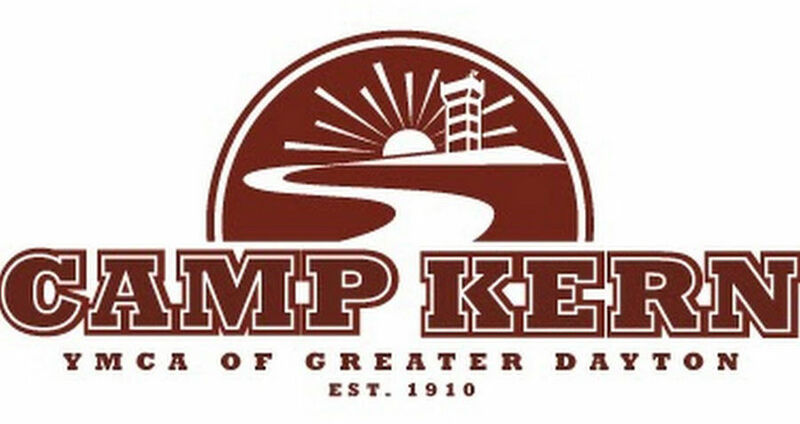 Camp Kern's mission: "The YMCA of Greater Dayton, based on Christian principles, is a charitable organization with an inclusive environment driven to enrich the quality of family, spiritual, social, mental and physical well being for all." Brigid’s Path provides inpatient medical care for drug-exposed newborns and non-judgmental support and advocacy to improve family outcomes. MISSION: The basic mission of the Marine Toys for Tots Program is to collect new unwrapped toys and distribute those toys to less fortunate children at Christmas. GOAL: The primary goal of Marine Toys for Tots is, through the gift of a new toy, help bring the joy of Christmas and send a message of hope to America's less fortunate children. Ohio Veterans Outdoors, Inc. is a 501(c)(3) Nonprofit organization created by and for Combat-wounded, Ill, and Injured Veterans of the US Armed Forces. Purpose: Provide opportunities to these veterans that promote personal growth, healing, stress relief, character development, relationship building, and community strengthening through outdoor experiences, activities, and educational programs relating to wildlife management and conservancy efforts with the goal of raising public awareness of and enlisting public support for wounded veterans.